Dr. Anand was motivated to work on the human brain model after his attempts with animals to develop a drug for autism yielded disappointing results. “The power of this brain model bodes very well for human health because it gives us better and more relevant options to test and develop therapeutics other than rodents,” he said. Now we are excited to report that a team of scientists at the Ohio State University (OSU) have developed a human brain in a dish that is comparable to the fully matured organ. The human stem cell-derived brain model is the most complete model of the human brain to date, analogous to the maturity of a 5-week old fetus, containing 99 percent of the genes present in the human fetal brain. An image of the lab-grown brain labeled to show identifiable structures. About the size of a pencil eraser, the model was created by reprogramming adult human skin cells into stem cells that subsequently could be engineered into neural cells. 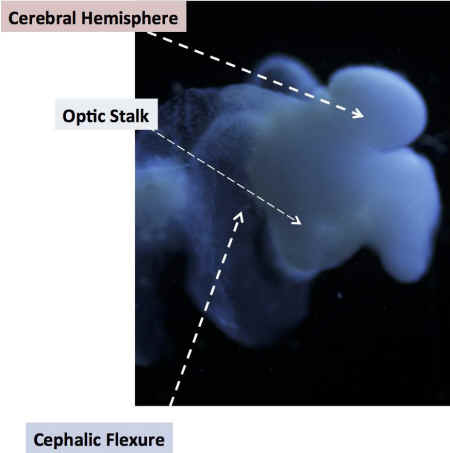 The brain organoid took 15 weeks to develop and contains all the key areas of the brain, including a spinal cord, a complex of neural cells, normal cell signaling mechanisms and a retina. The model does not contain any vascular system to allow for blood flow, though Dr. Anand says that’s a goal. “If we let it go to 16 or 20 weeks, that might complete it, filling in that 1 percent of missing genes. We don’t know yet,” he said. Dr. Anand and his research associate Susan McKay have begun to use the platform to create organoid models of Alzheimer’s, Parkinson’s and autism in a dish. These and other neurological diseases do not naturally occur in animals. 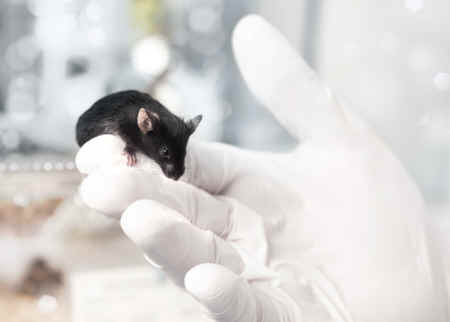 Typically they are induced by artificially inserting or removing genes in animals to create symptoms that only approximate the real disease in humans. They cause intense suffering and death for animals and overall have not yielded significant results for human disease. This new brain model has the potential to dramatically alter the course of neuroscience research. We will have [a] more precise prediction of efficacy of therapy and possible side effects before we do clinical trials," Dr. Anand told The Huffington Post. 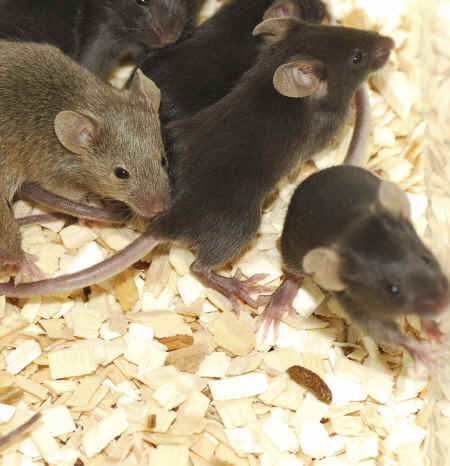 Reducing reliance on animals improves research as they're "not as likely to predict clinical outcomes as human brain models." CAARE’s mission is to reduce animal suffering by disseminating information about the power and progress of research without animals.